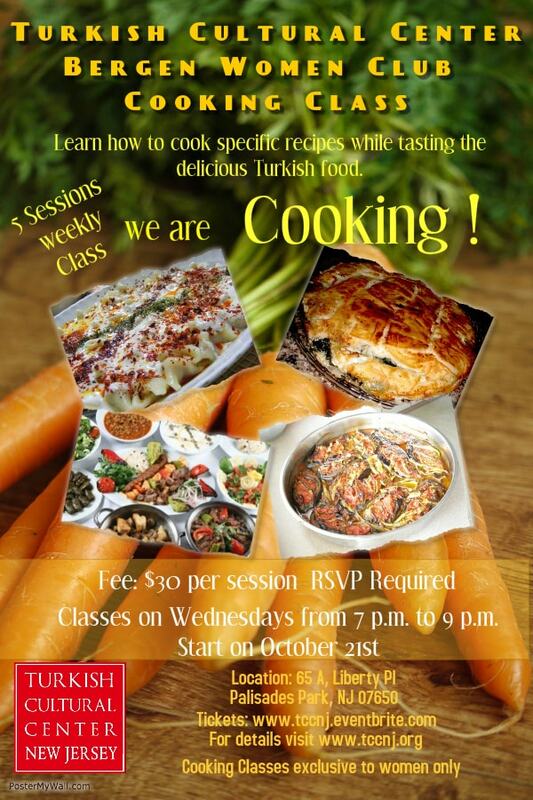 It is a great opportunity for meeting new people, and enjoying new experiences with different people of the community and learn how to cook specific recipes from Turkish Kitchen while tasting the delicious Turkish Food. Beause of some difficulties on our Center, class will hold on one of our member`s home. In order to open the class we may have at least 5 registrations and we may accept maximum 8 people. COOKING CLASSES EXCLUSIVE TO WOMEN ONLY! Buy Tickets Here from Eventbrite!